A tension that arises for me in my research topic is about the perceived (and/or assumed) ‘power of music’. There is a considerable amount of writing from respected academics that proposes a power inherent within music that makes it particularly effective in conflicted and post-conflict settings. There is far less writing that examines this notion critically, or offers up grounded evidence to support these claims. It is stated or assumed, rather than being tested. This puts the critical thinker in me on alert. Some statements come across as very woolly, romantic notions of music’s mysterious powers that separate it from its context and all the other variables that may be at play. Eg. Music creates peace and harmony, music works miracles and stops violence, the singing of Silent Night in WWI trenches brought about a ceasefire, playing music together turns enemies into friends, and so on. When these stories are recounted, I find myself thinking, “But what about the influence of..? What about all the events that had gone on before the [music event]?…”. Music doesn’t exist in isolation. Some of the writing in music therapy research I’ve read also tends towards this – one statement I read recently declares that music “bypasses the head and goes straight to the heart”. I know that this isn’t true for me (my head is very involved in all of my musical experiences)… but anyway, what does it mean? That it circumvents our thinking and logic and goes straight to emotion? Is that desirable? (think of propaganda…) Is it what really happens? Always? If not always, when? Does being a musician make one less well-placed to examine the question of music’s power (or lack thereof)? Does the intensity and longevity of our engagement with the musical arts blind us to the other variables so that we cannot examine all the variables and influences of an event in a dispassionate way? (Reading some of the intense debates on Geoff Barker’s Sistema blog pages – be sure to scroll to ‘comments’ at the end of any of his posts – suggests that sometimes, musicians can be such true believers that any perceived criticism or critique that questions the accepted wisdom of the tribe is received as ill-informed and shocking injury. Either that, or Geoff is really overstepping the mark with his questions, observations and critique). But it could also work the other way – maybe my many years of schooling and study in music and music-making give me a different (or limited) perspective on how my brain (intellect) and my heart (emotions) receive and engage with music. I know that I am far more intrigued by music’s role in our social lives – the way it can connect people in all sorts of ways – than by any inherent “power”. Perhaps I am a social scientist at heart, as well as a musician! I know I am drawn again and again to music experiences, not because it is the way I make my living, but because it calls me. And has done ever since I joined my first music ensemble at the age of 6. But is it something inherent and unknowable about music itself that draws me to it? Or is it about what happens when I play/participate/listen/engage that is the call and ongoing motivation? Also, I know that there can be many ways of knowing. Indigenous knowledge, for example, is just as valid as the Western version of knowledge with its roots in the Enlightenment project. Would my critical thinking be so much on alert if this statement about “the power of music” came from an indigenous culture? It’s a moot point, because it hasn’t, and because what I know of indigenous cultures’ relationships to music suggests that they see music as an essential element in all sorts of social interactions, frequently taking place within ritual and daily patterns. The idea of music as something to be focused on and listened to, purely as a passive, disembodied engagement, is a very Western one. That while music may be a cultural universal (in that every culture, in every age throughout time, and into the future, engages in and with music as part of being human), the meaning that people ascribe to it and derive from it is not universal. 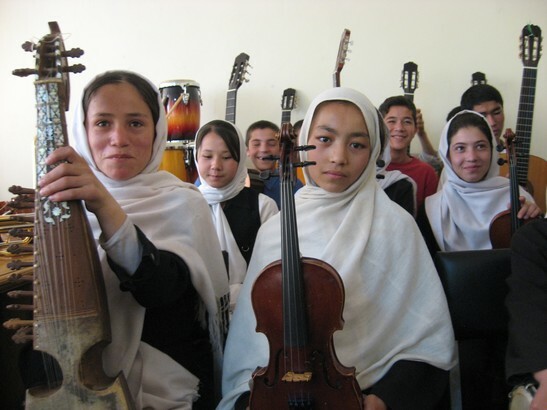 It is often perceived as such, and thus considered to be a powerful way to bring people together, but the meanings of music are culturally-based. This doesn’t negate the fact that it can be a powerful way to bring people together, but the universality of musical meaning is not the reason for its effectiveness. Because of this, considerations of music activities and their meaning should not be separated from their contexts, because music-making (or ‘musicking’ as Christopher Small calls it) is a social undertaking, with social meaning and with social relationships at its core. What takes place before, during and after the music event is an essential part of the story. Separating the music event from these considerations (ie. seeing music as an independent event or experience with its own inherent properties) denies the huge significance of the context. I also think that isolating the music event from its context weakens arguments about music’s effectiveness. For example, in conflict transformation, removal of context implicitly takes power and agency away from the individuals engaged in the transformation of conflict and assigns responsibility and the power of transformation to music. In such a context, effectiveness is all about the people making active choices and adjusting mindsets, rather than being passive recipients of a mysterious ‘power’. Music has a role to play but it will be the context that determines any possible transformation. (I’ve been reading Arild Bergh’s PhD dissertation on Music and Conflict Transformation – another inspiring piece of scholarly work – and he raises many of these same issues. That thesis has been a very influential piece of writing for me, a very fortunate recommendation so early on in my project). There are some of my musings for today. Everything changes… the very act of setting some of these ideas down in this blog means they will continue to evolve and expand for me, making more nodes and branches on the tree-like structure of my topic! Bergh, A. (2010). I’d like to teach the world to sing: Music and conflict transformation. Unpublished PhD thesis. University of Exeter. Small, C. (1998). Musicking: The meanings of performing and listening. Middletown, CT: Wesleyan University Press.